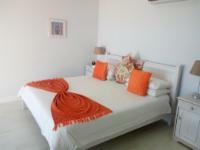 Oceansnest Guest House is a chic, modern guest house situated along the Blouberg beachfront. With unobstructed views of the stunning beaches, guests can enjoy the sunset from the luxury of the lounge. Delightful breakfasts can be followed up with lunch and dinner on prior notice, and Oceansnest also offers braai facilities as well as a pizza oven for guests to enjoy with prior arrangement. 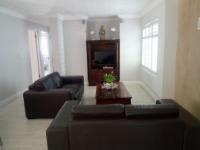 Being located on the Blouberg promenade, guests have easy access to many different water sports, restaurants and shops, while the city centre and all of the local tourist attractions that Cape Town has to offer is about 20 minutes' drive away. 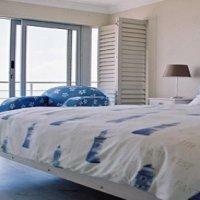 Oceansnest prides itself on luxurious accommodation and unsurpassed hospitality. This is truly the place to relax with a cocktail and enjoy the picture perfect views of Table Mountain. Definitely not the same as the picture. Require urgent maintenance. Smell of food in the guesthouse is overwhelming. Décor is substandard. Toilet paper and hand wash is not on standard for a guesthouse. The location was great, but we were so disappointed. The website shows ocean views but the apartment was in the back of the building. The aircon and lights above the counter were not working, non of the outside furniture could be used. The crockery was chipped. The ceiling in the main bedroom is damaged by water. For the price per night, I certainly think this place needs to up its game. 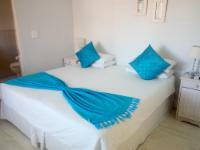 Oceansnest Guest House is 2.9km from the centre of Blouberg , the nearest airport 23.4km (Cape Town International Airport).